Admittedly, this first one is more of a personal request than anything dire for the game at large as mill decks are my favorite archetype in Hearthstone. The idea is to overload your opponent’s hand with cards so that they’ll be forced to discard their cards on draw. 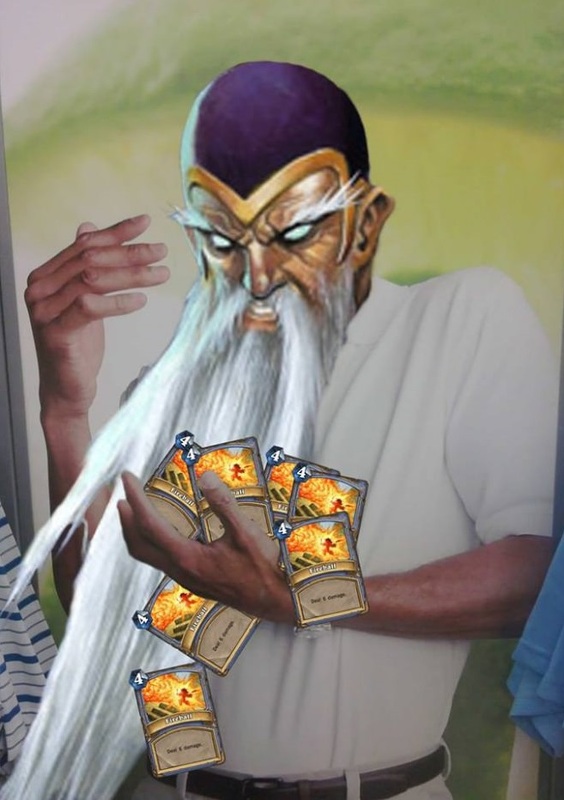 Either you burn valuable combo cards to deny your opponent’s main strategy or you run out their deck and finish them off with fatigue damage. It’s never been an especially effective tactic as giving your opponent a full hand of cards is liable to backfire. However, Blizzard has clearly taken notice of people playing mill decks and sought to encourage it as every expansion has brought at least one new resource that fits milling perfectly. Cards like Dancing Swords, Clockwork Giant, and Gang Up have made milling much more practical over time. However, the mill was forced to close down once Emperor Thaurissan entered the game. When your opponent can permanently discount their entire hand, filling their hand with cards is suddenly even more impractical than it used to be and most mill cards have been left to rot. Plus, any deck that isn’t running Thaurissan is already aggressive enough to dump all of its cards in the blink of an eye. That high aggression is another can of worms that may require balance changes to address, but the fact that there’s no way of counteracting Thaurissan’s effect makes milling too risky. Fortunately, introducing a Thaurissan counter is actually fairly simple: A card that returns cards from the hand to the deck. After being sent back to the deck, these cards would have their mana costs reset to their normal states like how minions sent from the board to the hand return to their original state. Of course, balancing this kind of effect would require careful consideration as returning cards to the deck is pretty devastating in its own right. Still, it’s definitely doable and worthwhile given that there’s currently no way to counteract Thaurissan once he gets going. For example, we could have a cheap spell that returns your opponent’s hand to their deck, then has them redraw a new hand of the same size. It’s a niche idea, to be sure, but it’s a perfect fit for a niche deck like mill. What made mechs so strong with the release of GVG was that there were so many cards added to the game that revolved around mechs, so there was plenty of room to experiment and find the best decks. Demons have also received plenty of boosts with new demon-synergy cards introduced in every expansion. Other minion tribes like murloc and pirate have so few cards that you have to include all of them to even have a full deck for that theme. Each of the five remaining tribes need more cards for full decks based around them to become viable. 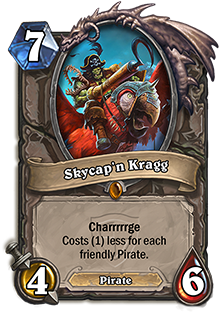 We’ve already seen plenty of totem-synergy cards announced and pirates are getting Skycap’n Kragg (pictured above), but those swashbucklers are going to need a lot more. Murlocs aren’t in the most dire need of a boost, but they certainly aren’t as prevalent in constructed as they used to be. Dragons, for all of the excitement surrounding them in BRM, still haven’t broken out as something that can form a viable deck. However, the one tribe that needs help the most is beast. Despite there being a large number of beast cards, there is only a handful of cards that make use of the tribe and they’re almost exclusively Hunter cards. What hurts beast minions the most is that simply being a beast makes up a large amount of their value and, without cards that actually utilize that, they end up being some of the weakest cards in the game. This is especially true in Arena where you can easily find yourself drafting beasts with no chance at getting full use out of them. Totems and demons are also heavily reliant on a single class, but those minions are also almost exclusive to those specific classes. 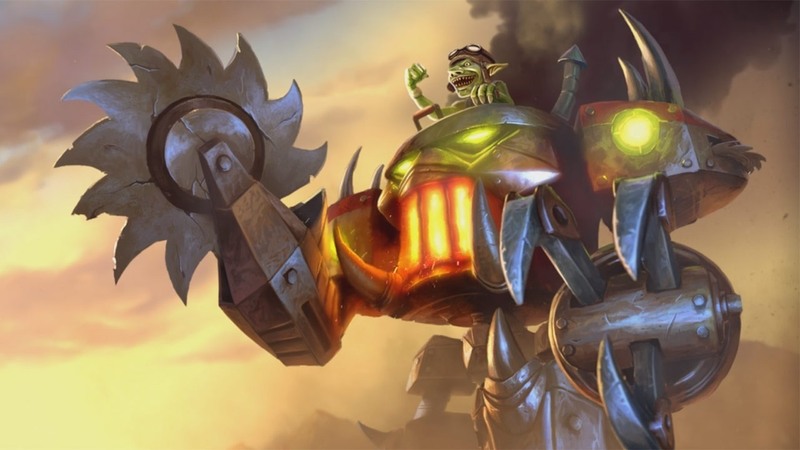 Mechs, pirates, dragons, and murlocs all have neutral cards to synergize with, making them virtually viable for any class. Beast is the only tribe with a plethora of neutral cards that has its synergy restricted to specific classes. As such, we need some neutral beast synergy cards added to the game. Hunter will always be the class that gets the most out of beasts, but the other classes need some room to work with them as well. 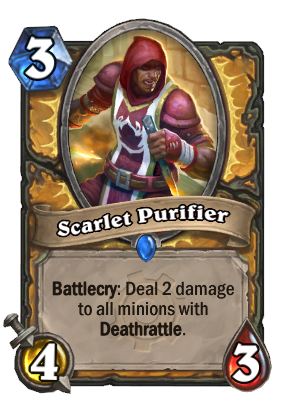 As I said, there were anti-deathrattle cards introduced in GVG, such as Scarlet Purifier, but they proved ineffectual in practice. In reality, deathrattles only became more prevalent after the release of GVG with even stronger deathrattle minions like Piloted Shredder appearing. The problem was that the counter cards were both based around countering the bodies of large swarms of deathrattle minions when the biggest impact of these minions comes from their deathrattles going off. What we really need are ways to deny deathrattles from activating. More silence options, minions that negate deathrattles while they’re on the board, and something similar to Nerub’ar Weblord that drives up the mana cost of deathrattle minions would all help even the playing field and make deathrattle-centric decks more of a risk. With GVG and BRM, all of the new Warrior-exclusive cards have been sub-par at best and unusable at worst for the Arena gamemode. Given that Arena is based on drafting a deck from a random selection of cards, each class needs a balanced cardpool to draw from to be viable in this mode. GVG made Warrior the single worst class for Arena and BRM only knocked it down further. If there is one thing that Hearthstone needs most from TGT, it’s for Warrior to receive a boost in its cardpool for Arena runs. This is a tricky subject to approach as Warrior is actually one of the strongest classes for constructed play now thanks to Grim Patron combos. With no signs of a nerf coming anytime soon, Blizzard would have to be careful not to make that archetype even more potent while still introducing good cards to the class. 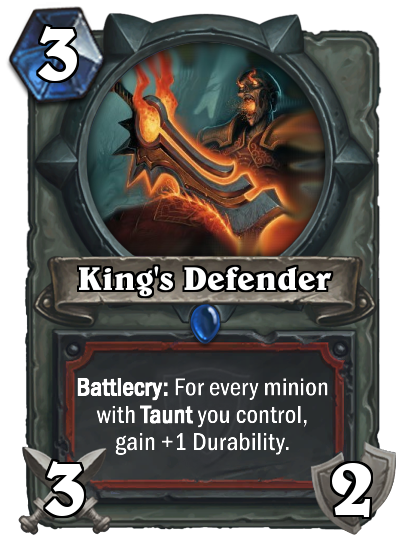 We’re off to a decent start with the new King’s Defender weapon card that wouldn’t offer anything to Patron decks, but can have potential as an Arena pick. Still, it’s pretty situational in its own right and we’re going to need much better if Warrior’s ever going to catch up. 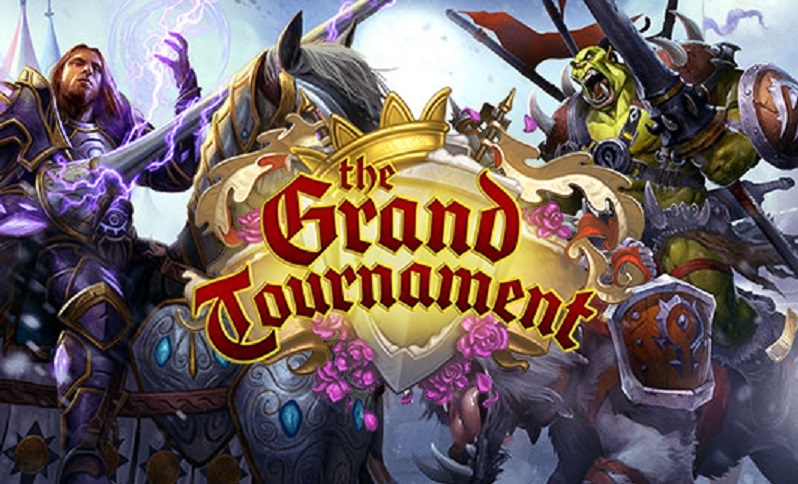 What do you want most out of The Grand Tournament? Are you hoping to build the pirate deck of your dreams, or are you just sick of seeing Shredders everywhere? Do you have any desires for the expansion outside of what’s listed here? Leave a comment below and let us know what you think.